With kitchen remodels happening all the time, many old cabinets are either thrown away or donated. Instead of tossing them out at the thrift store, repurpose them into a portable desk for your elementary-aged child. 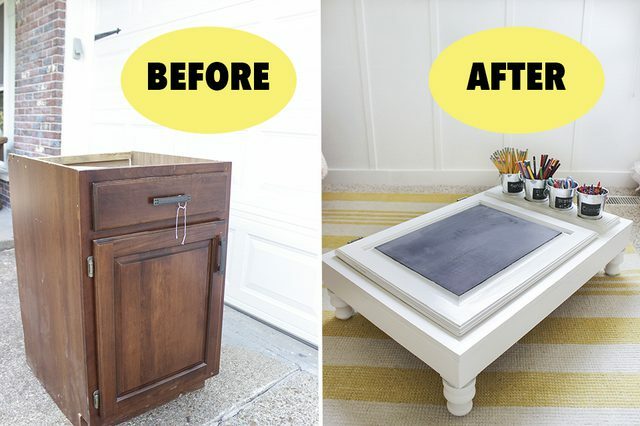 This desk provides a large work surface, a chalkboard, a storage compartment for papers and books, as well as holders for all kinds of school supplies.